As this is my first week on maternity leave, I've really no excuse not to make more of an effort with my meals! I have to say though, I've enjoyed making myself healthier meals and taking the time to be a bit more creative. For breakfast this morning, I had granola with natural yogurt, bananas and strawberries and a cup of tea. For lunch, I had tuna on toast with cucumber and olives. I've had a real craving for olives recently - think its the sourness I really like. I had an afternoon snack of apple, blueberries and strawberries. I was tempted to have an ice lolly or some ice cream, but thought I would save that as an after dinner treat! 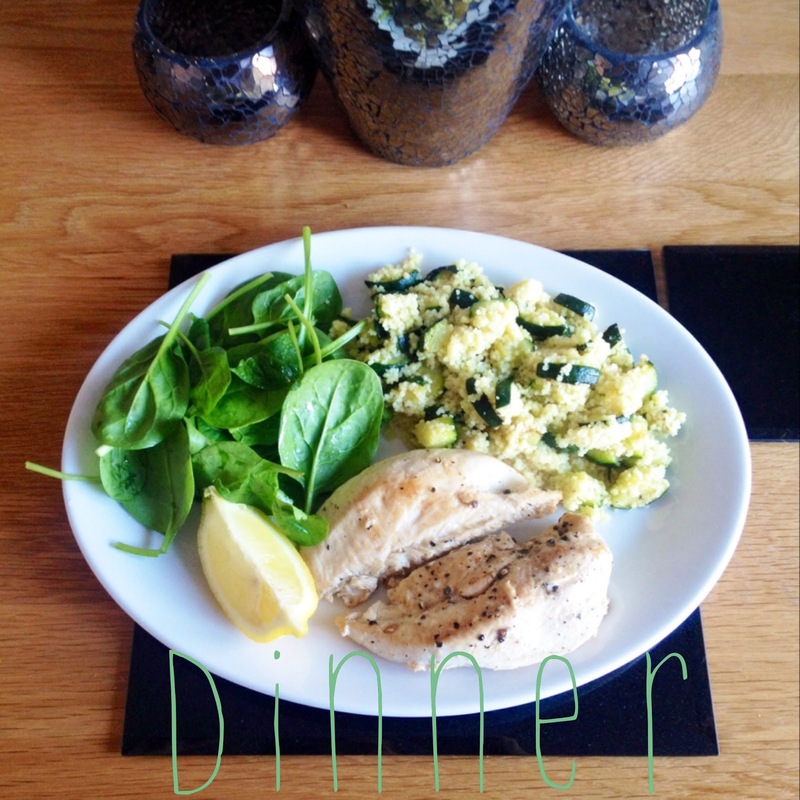 For dinner we had chicken with lemon and courgette couscous and some spinach. I saw this recipe on the Good Food website, and thought it would be perfect for such a nice sunny evening. 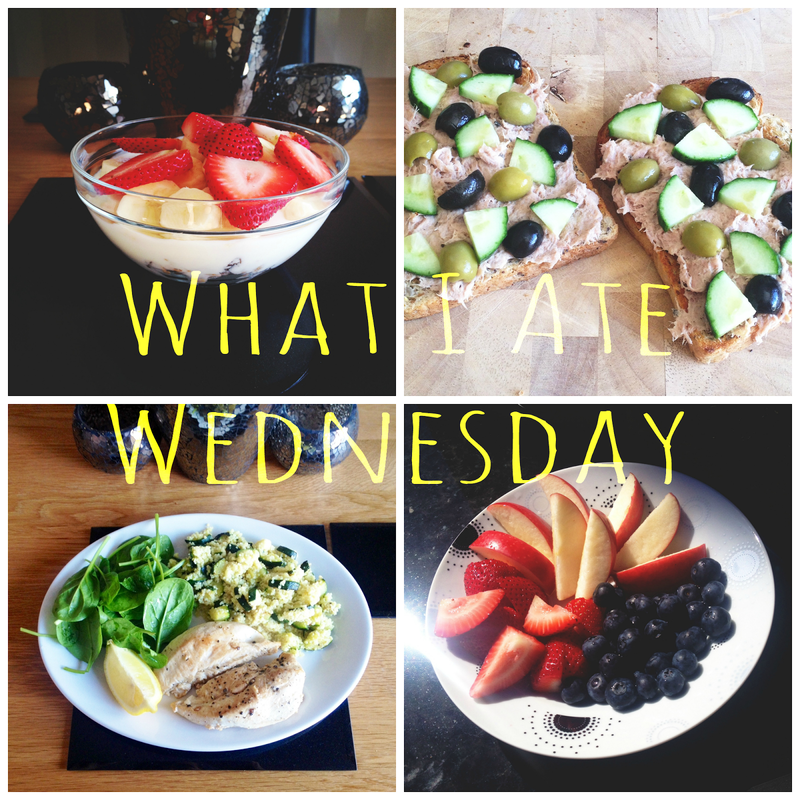 Let me know if you'd like to see more of these 'What I Ate Wednesdays'. 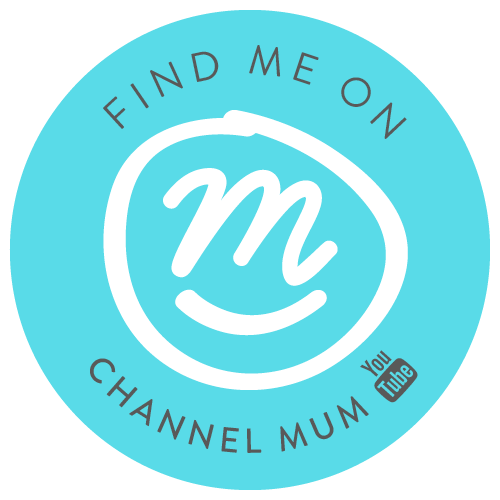 I really love having a nosey at what other people have to eat (I'm such a foodie!) so if you do anything similar or have posted any recipes, leave me a link in the comments!